Wesley Vernon Tramill died peacefully of natural causes at home at Lake Annabel, Olathe, Kan., Monday night, Sept. 5, 2011, at age 92 years and one day. 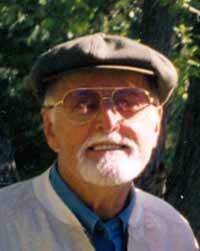 Wes was the father of Tom Tramill, 1ongtime Sun Valley local, 30 years evening shift at Mountain View Grocery. Wes' ex-wife, Tom's mother, Rowena Normand, longtime Sun Valley local, passed away on Oct. 20, 2010, in Kansas City. Her obituary appeared in the Mountain Express a year ago. Wes thoroughly enjoyed his visits with Tom and Rowena in the Sun Valley area. He particularly liked Rocky Mountain Ranch in the Sawtooths and Grandjean, west area of the Sawtooths. Tom and Wes took drives to the Big Lost Mountains, Lewis Falls in Yellowstone Park and Jenny Lake Drive east of the Tetons. A fine tenor saxophone player in the Kansas City area, Wes had a career in the lumber and building-materials business, and played music with his group most weekends throughout his life. In his later years, he lived with companion Lillian Gold in a lovely natural setting at a private lake in rural suburban Kansas City. Upon Lillian's passing in February 2011, he was joined there by son Tom as caregiver. Always full of fond stories of family and friends, recollections with humor of a full and long life, his bright, engaging wit was still shining in his bright eyes even as his life's light quietly dimmed. Left in the care of his son Tom is his beloved Saint Bernard, Beethoven. You may contact Tom at 913-592-5272. See www. PenwellGabelPaola.com.